From the outside 27-inch Apple iMac 5k Retina looks exactly the same as the standard model with 2560×1440 resolution, but once you see in operation the screen with 5120×2880 pixels are then you immediately know you have something special to do. 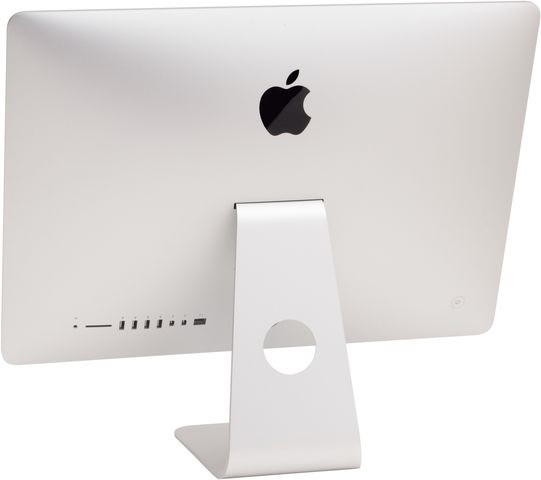 The design of the Apple iMac 5k Retina may be known. It’s a hunk of aluminum that has not an ounce too much on board in the eye. A solid base on which the display appears to float and all connections behind the screen neatly together and the power connector neatly in the middle. Luxury he is so sure. He therefore has a starting price of 2629 euros. 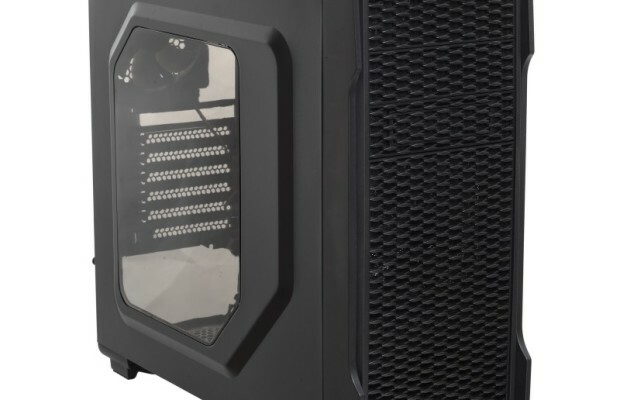 The screen of course is the centerpiece of this device, but if you go with this machine to get started you do not see an immediate difference with the regular model, or do just that. The menus and other items on the screen are exactly the same as the version with 2560×1440 pixels. The greater number of pixels of this model is used initially to mainly to a sharper image. It feels a bit like by freshly washed windows for the first time looking out. Texts are nicer stabbed and therefore more pleasant to read. For photos of the increased sharpness is obviously visible. The effect is very similar to what we already know from the high resolution screens of tablets and phones such as Apple itself. The purity you might recognize from the Retina versions of the iPhone and iPad you can also see back on this screen. MacOS X is also about something else than to Windows. The menus are nicely scaled automatically so they just are legible and that goes for most software. The latter is especially under Windows sometimes a challenge sometimes with too small or too large text in windows and menus Start Up allowing the use of a high resolution screen as this can sometimes be a challenge. Also, on another plane, this exceeds Ultra HD / 4K resolution (3840×2160) a big advantage: when you get to work with video editing in which high quality love you enough space next to the image over to the controls of the software while you are still just a 1: 1 image can look. The screen comes from LG Display and driving uses Apple two DisplayPort 1.2 signals from a graphics processor from AMD. The screen is equipped with an Apple-designed timing controller (TCON), which combines DisplayPort signals to the image you see on the screen. This provides a bandwidth of 40 Gbps and can control the 14.7 million pixels smoothly. In many other screens with high resolutions is often chosen to combine a smart way two timing controllers. The screen is only 1.4 mm thick and consists of as many as 23 layers. In addition, the display includes much more efficient LEDs, so Apple can boast that this new display 30% less energy than its predecessor without detriment to the brightness of the image. The passiveringsarchitectuur prevents carbon based crosstalk between the millions of pixels in the 5K display, according to Apple. Passivation means in the world of microelectronics something other than its original meaning, which is the practical result of applying a thin protective (mostly oxide) layer (for example against rust). When the display is also a layer over the transistors, which ensures that they can not affect each other, but then one on the basis of a carbon compound. The layer separates the transistors that form the pixels of the driving signal electronics. The iMac 5k Retina makes use of transistors on the basis of a metal oxide, instead of the conventional amorphous silicon. An example is the Sharp IGZO transistors, which are made of indium, gallium and zinc oxide, but since the first transistors on that basis in 2004, the developments are not stopped and all major display manufacturers make metal oxide transistors. Apple uses this technology in its iPad displays; the passiveringstechniek it also applied to all of the iPad 3 screen, the first ‘Retina’ iPad. 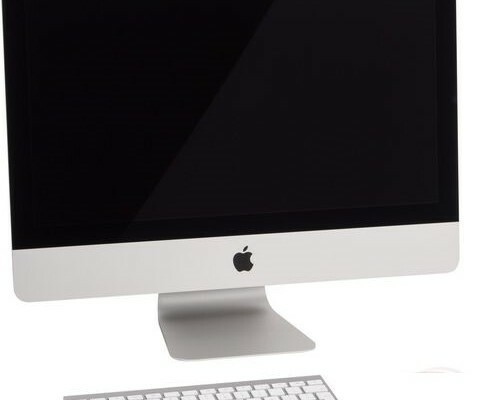 For our test Apple’s got a deluxe version of the 27-inch iMac comes with 5k Retina display. The entry level has an Intel Core i5 quad-core processor. Unlike Apple has implemented a desktop processor in many all-in-ones. In this case, the Core i5-4690, running at 3.5 GHz. Further, the slip has 8 GB of RAM – which extend from simple incidentally via the special panel on the back of the unit behind four memory slots are hidden. So you can “grow” up to 32 GB of memory. 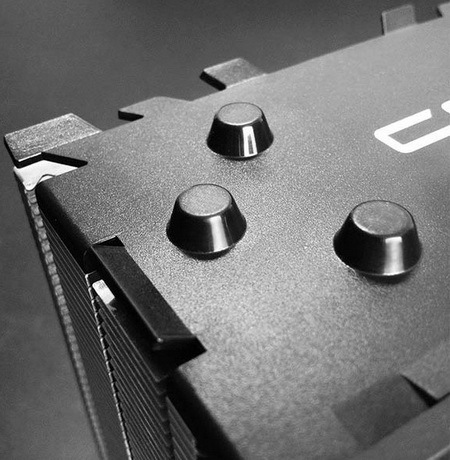 Furthermore, the model AMD Radeon M290X on board with 2GB of video memory. Our test model was a little heavier equipped. 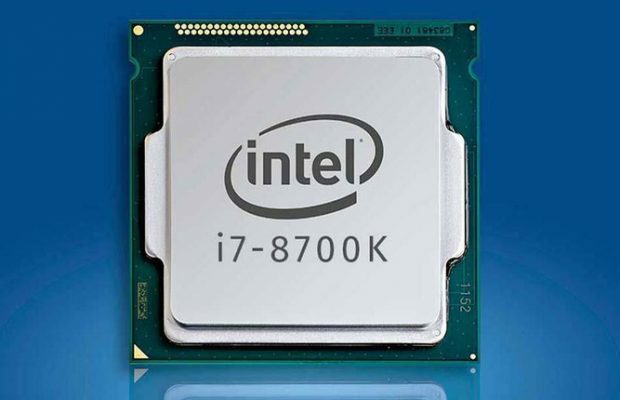 A Core i7-4790K (Devil’s Canyon) at 4 GHz, quad-core with HyperThreading. A processor that operates at less than 4 GHz. Also, the video card in our model had undergone an upgrade in the form of the AMD Radeon M295X with 4 GB of memory. The Tonga-based GPUI operates at 850 MHz and the memory at 1362 MHz. Before Hynix GDDR5 memory that is used with a 256-bit memory bus with the graphics processor is coupled. Although AMD meanwhile 5K support through its Omega drivers, it does not work on this GPU. You are limited to Windows so “only” Ultra HD. For storage in our test model was fitted as a Fusion Drive at the entry level. In fact, the Fusion Drive consists of two parts: a 128GB SSD, in this case a copy from SanDisk and a 1TB hard drive (this time a Seagate). Both of which work together as a whole under MacOS X. It’s a bit the ideal version of a hybrid disc, as its operating system for many tasks using the SSD, but while you’re working you just have 1 TB capacity. You do not have to make choices about which program or data that you post. The operating system finds out for itself. The disadvantage is that these trick part of Mac OS X and thus you can not make use of the advantages when using Boot Camp (also) want to use Windows. Windows are now on the hard disk and is not very smooth. In addition to the Fusion Drive 1TB, you can also opt for a 3TB variant or 256, 512 or 1TB SSD storage. The 256GB SSD option is just as expensive as the standard Fusion Drive. The 1TB SSD is otherwise very very pricey, Apple requires that an additional cost of 800 euros. That’s tough, but remember that Apple uses PCI Express-based SSDs. At the back of the system you will find the connections. Apple has here four USB 3.0, Thunderbolt twice and installed a wired Ethernet connection. A geheugeenkaartlezer as an audio connection is also not forgotten. The WiFi is in the hands of an 802.11ac adapter from the stable of Broadcom with three antenna connectors. That means you have a wireless bandwidth of 1300 Mbit / s at your disposal. Quite a difference from Windows computers that so far we have really only seen up to two antennas, that is good for up to 866 Mbit / s. The Broadcom adapter also provides Bluetooth technology and thereby also be controlled keyboard and mouse. One of the most important aspects of a computer screen. It is the part where all the information you request is displayed. The performance of this we therefore measured separately, using SpectraCal Calman 5 analysis and X-Rite i1 Display Pro colorimeter. 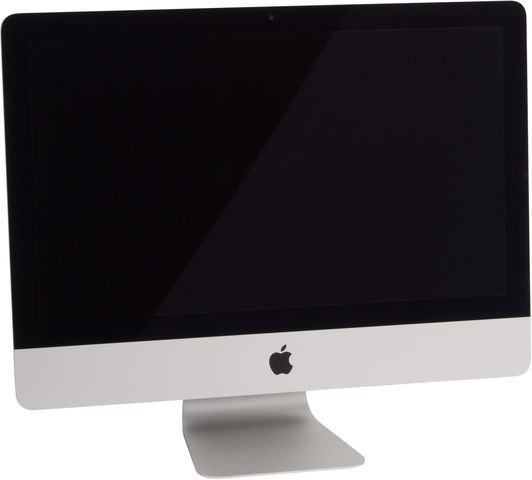 First a brief characteristics: the screen of the Apple iMac 5k Retina (Z0QX0N / A) is one of the IPS type This type of display we often reflected in all-in-one systems from Apple and other brands diagonal.. is 27 inches and the resolution is 5120×2880 pixels, the pixel density which amounts to a staggering 217.57 PPI. it scales nicely into Mac OSX, but Windows makes clear problems, making the interface of Windows unreadable small. In our test, we first look at the color mixing of the three basic colors and range of the gray views. It is important that the brightness in gray from black to the whitest point goes nicely proportionate. In addition, the distribution of the primary colors red, green, and blue is important. Finally, we look at the color fastness, color temperature, brightness and contrast of the panel. We measured the screen in the Apple iMac 5k Retina both under the Windows operating system and Mac OSX environment. Here we saw slight differences in the performance of the display, with the best results as to guess with the own Mac OSX. Mainly the color shows differences, though in practice the difference will not be noticeable. We will discuss the results of its own operating system. In the course gijs walk the three basic colors close together, so there is almost no color fringing is visible. The gamma value for these three together is higher than desired by 2.35, but because the deviation is gradual, it makes in practice few problems. The desired value is 2.2 over the entire range. The colors are beautiful in the sRGB color space, with just a little too over saturated red. The intermediate colors are beautiful in their place and we see almost no outliers in the mutual brightness of all colors. This all colors perform very nicely below the three points, and often even below half DeltaE 94 points. These are very good results. A good screen usually performs just below the acceptable limit of 5 points. Lower in these scoring better. The color temperature is nearly perfect with 6863 Kelvin, leaving only a very light blue color tinge is visible, that does not matter in practice. The maximum brightness of the screen is pretty high at 473 cd / m² and the contrast is large with 1126: 1. By monitoring this caliber is a contrast of about 800: 1 being more common. We are very impressed with the screen in this iMac 5k Retina. Not only because of the high resolution, but also the viewing angles and contrast are not wrong. That along with the perfect color this iMac is a pleasure to work with. Certainly for the color critics among us. The Apple iMac 5k Retina is a unique device, equipped with a great screen and excellent hardware. The graphics, while not powerful enough to be hard with gaming in 4K, but that is not where a device such as this is primarily intended. It is also unfortunate that you (yet) 5K can use Windows. But Apple has once again proven that it can build very nice computers with very nice specifications. The beautiful screen with 5120×2880 resolution is a very big plus. It not only provides benefits if you are going to work with video, but due to the high acuity also very nice to work with if you are using regular software. In terms of configuration options you have quite some choice. If you are going to work with Windows, we would recommend you choose a variant with SSD and not for the Fusion Drive. But certainly what this pimped version with Core i7-4790K and M295X remains of course but little to be desired. Also if you look at the price tag will fall still bad. It’s not cheap, but when you consider that its Dell UltraSharp UP2715K for about 2175 euros charges than if the price of the entry-level version of the iMac of 2500 euros still bad. Overall, Apple raises the bar one step higher for the market. This iMac deserves what us a Gold Award.